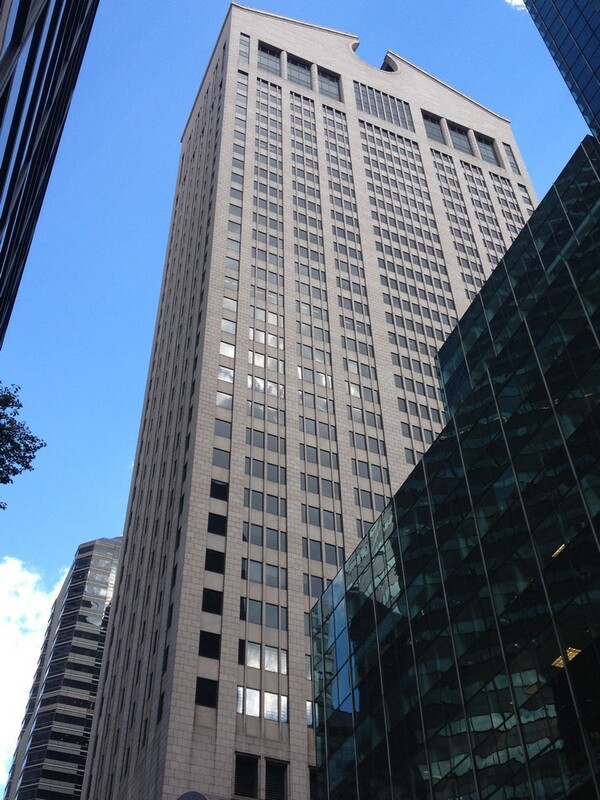 Philip Johnson and John Burgee’s AT&T Building is being considered for landmark designation. However, questions remain about the future of the building’s interior spaces, particularly the ground floor lobby, reports the Architectural Record. After listening to a brief presentation on the Post-Modern building’s history Tuesday morning, the New York Landmarks Preservation Commission (LPC) decided to add the building’s exteriors to its calendar—the first step in the landmark designation process. The design of the AT&T Building (now known as 550 Madison Avenue) was controversial when it was built, and remains so today. LPC chair Meenakshi Srinivasan stated. “It’s probably the first and definitely the most iconic Post-Modern building in New York City.” The designation would protect the exteriors only. 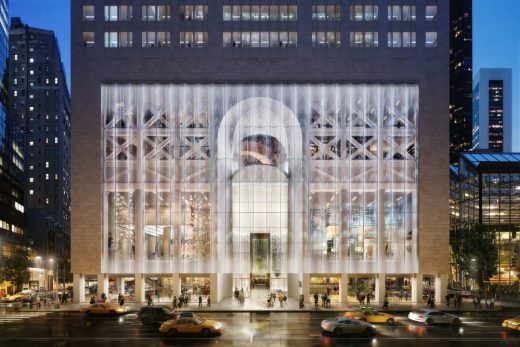 Snøhetta, Oslo, has been commissioned to reimagine the 1980’s postmodern tower located at 550 Madison Avenue. The renovation is the first major project to be announced for New York City’s East Midtown since its revitalization plan was approved earlier this year. The redesign nearly doubles the amount of public space while transforming the base of the 1980s tower into a lively, transparent street front. Very famous Postmodern building with its so-called ‘Chippendale Chair’ top. The Sony Tower, formerly the AT&T Building, is a 647 feet tall, 37-story skyscraper. Its marriage of a regular (efficient = profitable) skyscraper with a iconic piece of architecture ‘plonked’ on top made it highly unpopular amongst many architects but regarded by many others as enviograting, moving away from the solemnity of typical Modern movement buildings – which had largely become stripped-down variants to money-making shells by the early Eighties. Renamed the Sony Building. The building is located at 550 Madison Avenue between 55th Street and 56th Street.